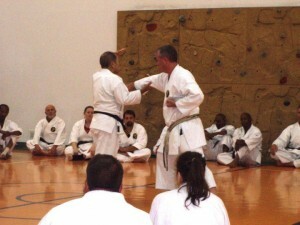 Our school teaches traditional Matusbayashi Ryu (Shorin Ryu). 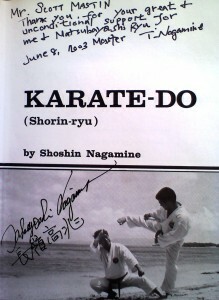 Our school supports the Nagamine Family Karate style and association. The school is owned and operated by Scott Mastin. 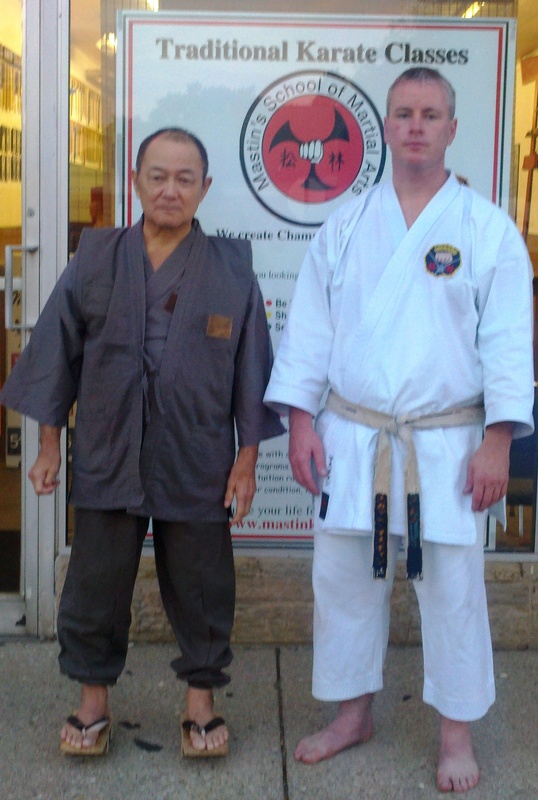 Mastin Sensei has been involved with the Martial Arts since a very early age and teaches the art of Matsubayashi-ryu as a direct student under the late Soke Takayoshi Nagamine. 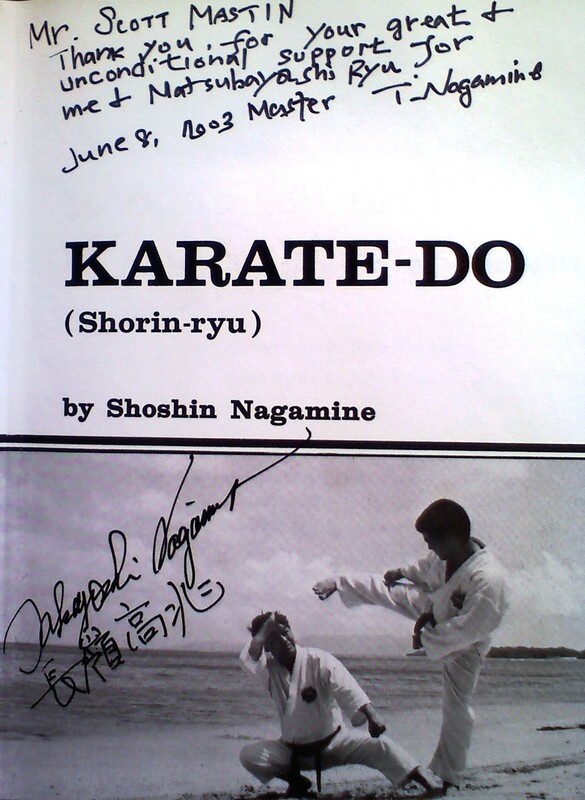 Soke Nagamine and Mastin Sensei became very close and had an amazing relationship. We strive to keep a traditional training atmosphere. We have thought about relocating the main school several times but moving the school doesn’t feel right. We have established a close family mentality that has been in place for over 2 decades and would like to continue to grow that concept. We have had the honor and privilege to train many incredible individuals have trained with us. Some of them are: Professional football player, famous musician, police and firemen, United States soldiers and veterans, foreign exchange students, doctors, lawyers, single mothers, children with disabilities, students that may be overweight and even a student over 70 years of age and many other incredible individuals. We have had several guest instructors from overseas and always train with an open mind. 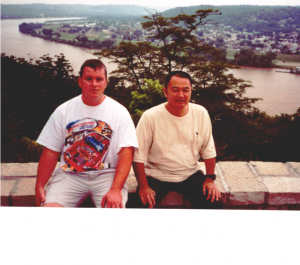 While our focus is training in “Real Karate” in a Traditional Art rather than training for sport, we have had several students in the past go on become United States National Champions in various tournaments. Our goal is to to help others enhance their lives and become stronger individuals. Set a goal of attending class 1 or 2 times per week. Attend the correct class and be on time! We need your help to make our school grow. Our hopes are to reach as many people as possible and make our school a strong, caring place that changes lives for the better. As our slogan states, “We create champion individuals.” With this in mind, please do your part and help sponsor a student. If everyone supports us, we will accomplish one of our goals in no time. Your referral of a friend or neighbor to our school is one of the finest compliments you can give us. We welcome your friends and neighbors to become part of our family. Please help me make my dream and vision a reality.